"1 Million Trees by 2010." In the next 3 years ZAP! pledges to plant 1 million trees in the US and China to help save the environment. Zap Trees is working with communities to plant multipurpose windbreaks around their fields. Your arms are needed for almost every activity: from getting dressed, to working, working-out and most athletic pursuits. Your shoulders and elbows need to be healthy, mobile and strong. They can be injured and then generate pain. Sometimes a problem seems to just "come out of the blue" and have no obvious cause or injury. Getting the wrong treatment, or doing nothing at all can be a real drag. Lack of motion, pain, permanent disability, joint degeneration and arthritis are the downhill side of an improperly healed joint. 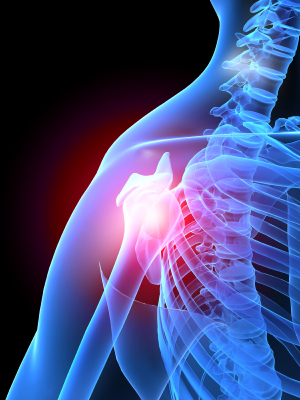 The shoulder structure can be "sprained" in which ligaments are injured and the ball-and-socket joint itself is compromised. The result is pain and lack of strength. Sometimes these injuries are labeled as arthritis, bursitis or a rotator cuff tear. When the arm cannot be raised up, it is labeled a frozen shoulder. Then a person often can't even comb his hair. One of the common nasty injuries is to the biceps tendon, which attaches the biceps muscle to the arm. When injured, it is torn out of the groove in the arm bone in which it lies. That injury will cause restricted motion, and if not treated and healed properly will keep a person from doing many shoulder motions including throwing. The collarbones (clavicles) make up a key support structure of the shoulder. Injuries to them (even old injuries that seem to have "healed") can cause weakness to the shoulder area, resulting in diminished strength, function and persistent discomfort or pain. The neck is an important area to be analyzed and corrected in many shoulder, arm or hand conditions. Nerves leave the spine from the lower neck and then travel down to the shoulder and arm. Those nerves operate key shoulder muscles like the deltoid muscle. The lower neck is often injured in vehicular accidents, falls and sports injuries, etc., causing pinched nerves and resultant shoulder malfunctions. Shoulder problems and injuries cause malfunctions into the surrounding nerves. Pain, numbness and muscle weakness can often affect the area. Because the nerves of the arm, hand and fingers travel through the shoulder area, a shoulder injury can cause nerve problems radiating farther down into the upper arm, forearm, wrist, hand, or even thumb or fingers. Using our advanced techniques the structures of the shoulder region can be accurately analyzed. Then it is can be properly and accurately corrected. The ligaments that hold the structures in place often must then heal and rebuild. The other day a patient came to me who had been treating her shoulder for months at an HMO. Her shoulder was still "frozen" and exceptionally painful. She couldn't even move a few steps without severe arm pain, let alone move the arm much! In the first treatment we provided to her, her shoulder motion was largely returned and the pain immediately reduced to a half! Nutritional supplements for ligament repair can be taken to supply into the bloodstream all the raw materials needed. They will speed the healing process dramatically, and ensure that the tissue that heals is of the highest strength, flexibility and quality. Your elbow has two major joints that can be injured. Each is adjacent to a major nerve: one runs down the thumb side of the forearm and hand, the other down the little-finger side. Depending on location, an elbow injury affects one or both of these nerves. Problems on one side of the hand or the other can often be caused by elbow-joint malfunction. The elbow can be tested with our advanced (including muscle testing) procedures, and diagnosed for exact type and location of the problem. Then our treatment can correct the elbow structures, strengthen the weak muscles, and restore normal nerve activity. That will eliminate the pain or numbness. Nutritional support for healing is of great value. Physical therapy methods can be helpful in extremity (arm and leg) conditions. Heat, ice, exercise and the sophisticated electronic Acuscope therapy can be used to expedite the corrective and healing process. Our doctors' legendary expertise in dealing with extremity problems is based on the detailed testing, corrective and nutritional procedures researched and perfected here. The rave results that are obtained by our patients, who, before reaching us, had tried numerous doctors, medications, injections and even failed surgeries, is due to utilizing our highly accurate, precise and effective methods. In the area of shoulder and elbow problems, it is again true that it's best to do things once, right, the first time. Universal City Medical Wellness Group (UCMWG) is a Multidisciplinary & Complementary Alternative Medical Group near Universal Studios, Studio City, Hollywood, North Hollywood, Burbank & Toluca Lake, in L.A.
To receive discounted prices place your supplement orders directly through our office at (323)436-0303. We're Glad you're here. Our goal is to provide the best health service you have ever had. Whether your problem is a new injury or a chronic illness, we want to help you. You can expect us to use the most effective techniques in healing that can be found. Our orientation is to prefer natural approaches over drug or surgical methods. That way unnecessary side-effects and complications can be avoided. We have an unusually broad range of health experience. You will probably be surprised at the wide range of patients we have served, and the different conditions that have been cured by our methods. The ages of our patients have spanned from 6 hours-old to 106 years-old. Some or all of our techniques will be new to you. When we have our first consultation together, we'd like you to tell us what your chief health problem is. Because we view the relationships between differnt symptoms, we will prefer you to tell us about other health problems or illnesses as well. That way we can get to the bottom of things. You may be surprised by our thoroughness. After consulting with you, if we believe we can help you, we will let you know. If not, we will let you know also. We're looking forward to including you among our friends who have valued our contributions to their health. Canadian Health Minister Tony Clement announced yesterday that Canada would ban bisphenol, also known as BPA, in baby bottles as well as asking formula makers to reduce leaching from cans, the Globe and Mail reports today. This represents a tough stand on bottles but a fairly soft one on other products which affect infants and young children - sippy cups, utensils, tableware, pacifiers, and teethers. It suggests there may be no ffirm requirements for eliminating BPA from formula containers or glass baby food jar lids. Although the government doesn’t expect to formally ban polycarbonate baby bottles for another year, the use of the product is coming to a rapid end in Canada anyway. Throughout the week, retailers across the country took the nearly unprecedented step of stripping their shelves of polycarbonate bottles used by infants and adults in the face of overwhelming consumer rejection of the product.